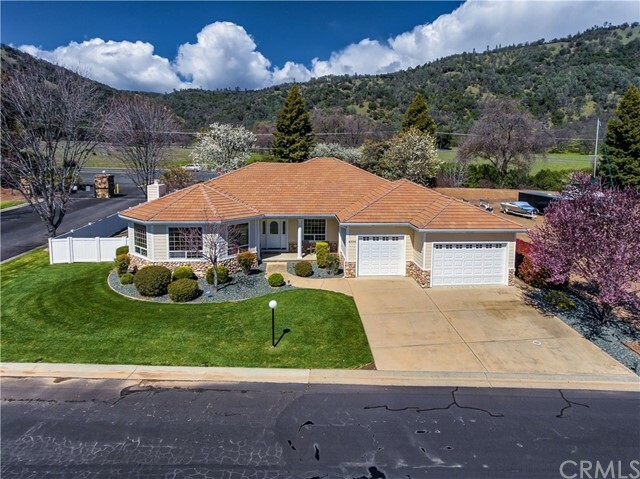 All Lucerne homes currently listed for sale in Lucerne as of 04/26/2019 are shown below. You can change the search criteria at any time by pressing the 'Change Search' button below. If you have any questions or you would like more information about any Lucerne homes for sale or other Lucerne real estate, please contact us and one of our knowledgeable Lucerne REALTORS® would be pleased to assist you. "Turn-key Lakefront home on the beautiful shores of Kono Tayee! 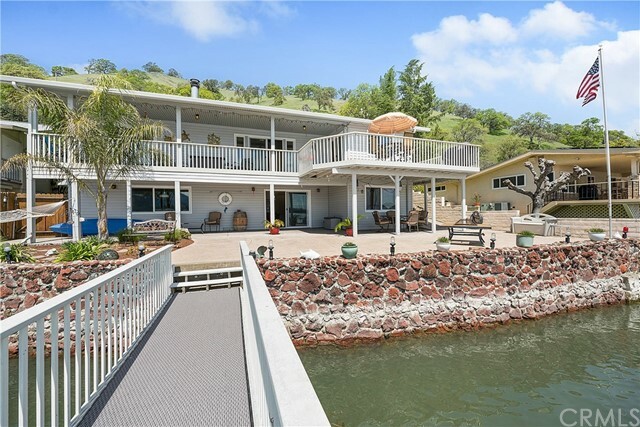 This modern waterfront home offers so much space inside & out as well as some of the best lake frontage around. 3bed/2bth, 2544sqft, with main level master bedroom, renovated master bath with heated flooring & walk in stone shower, guest bed/bath, updated kitchen and living room, all facing out over the water. Lower level includes a 3rd bedroom, wine cellar area, PLUS a large workshop area, fully enclosed with possibility of adding even more bedrooms & space! Huge rec/game room/second living area with slider out to the large stamped concrete patio, private pier, dock & boatlift! Dual level outdoor entertaining areas with a private upstairs covered deck & lake level patio and lake toy storage. Hardwood flooring, central heat/AC, tankless hot water. Fully landscaped & even includes a garden area across the street. Extra boat parking out front, plus 2 car attached garage. Located near the end of the private & desirable waterfront community of Kono Tayee, set back in a slight cove for calm waters & gorgeous sunsets. Overall designed to be pretty low maintenance, perfect for full time or part time living. Elevation cert. on file, built up out of flood zone for insurance. Affordable HOA of only $300/year! Clear pest & home reports on file." "Welcome Home to tranquil Paradise Cove, a gated community where members enjoy the pleasures of country living in upscale homes, set alongside rural Clear Lake. Only a couple hours drive from San Francisco, Sacramento, or the Mendocino Coast, it s the Lifestyle you earned! This single owner, single level turnkey, tiled roof, home of 2,600 sf, has 3 bedrooms, each has an attached bath, plus hallway half-bath. Master bedroom has double vanities, generously sized shower, jetted soaking tub, and walk-in-closet. The special great room feel of the living area includes handsome granite kitchen counters, with beautiful hardwood cabinets. The rock clad gas fireplace delivers warmth & ambiance to these areas featuring a convenient central vacuum system. The low maintenance front & fenced perfectly sized grassy backyard with automated sprinklers, allow you time to entertain or garden if you prefer. An over sized 3 car garage, easily accommodates boats, jet skis, or collectible cars, yet there exists additional parking area on your property on the West side of the home. 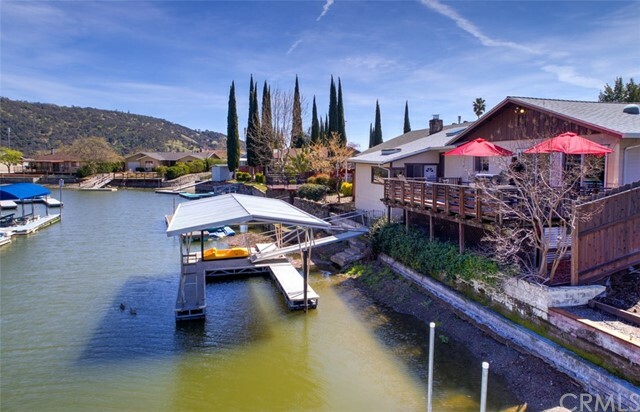 Two blocks away is the common area watercraft launch, from which you access the beauty and serenity which is Clear Lake, with over 100 feet of gorgeous shoreline. Just move in and enjoy the benefits from our Nationally Acclaimed Fresh Air & Natural Beauty!" "PARADISE FOUND! Discover your own private paradise in this stunning & expansive 4bd/3 3.5 bath, 3 car garage, remodeled home located in the highly-desirable Paradise Cove subdivision that sits on the eastern shoreline of Clear Lake. The stunning formal entry offers updated light fixtures & rich, wide-plank vinyl Core-Tec flooring. The open floor plan combines rustic wood-beamed accents with modern granite-slab counters & tile backsplash. Soak in the views of the backyard and in-ground swimming pool from the comfort of your living room with vaulted ceilings, picture windows, plush carpets, & pellet stove with vintage rock hearth. Four oversized & updated bedrooms - three of which have their own full bathrooms! The luxurious master suite overlooks the pool and patio area with private backyard entrance. French doors lead to the updated bathroom vanity area with dual sinks, granite slab counters & huge walk-in closet. Enter into the bathroom to discover a custom-tile shower with glass surround & modern free-standing soaking tub. 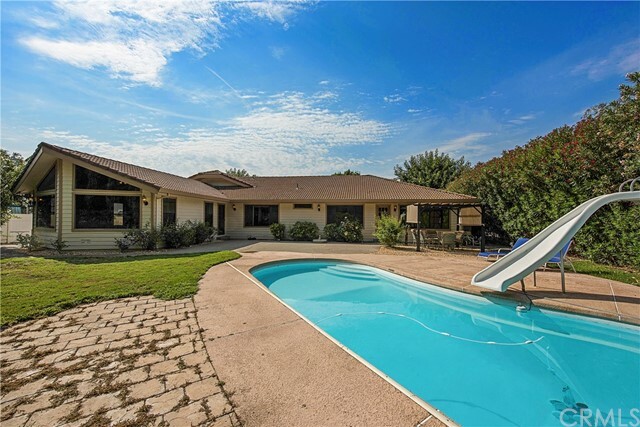 Throw fabulous summer pool parties from comfort of the lush & extremely private backyard - where you can soak in the hillside views you lounge in the pool! Three-car oversized with brand new garage doors & openers. This private gated community offers tennis courts & a boat lauch, while marina slips are available for purchase separately." "Large waterfront home in desirable community of Kono Tayee! Expansive 3 bed/2 bath home with open concept floor plan and large family room. This lovingly maintained home is ready for its next owner to enjoy! Skylights throughout house provide abundant natural light. Fish right out of your back door on newly replaced private dock on beautiful Clear Lake or enjoy an evening paddle in your kayak. Steps off of the back deck lead down to the shoreline. New water heater, central heat/ac and new roof with a 100 year guarantee transferable to next owner. Enclosed porch ready for your hot tub or keep as extra sleeping area for family getaways. Oversized garage will house up to 4 cars with additional parking in driveway. Low HOA dues with access to private beach, pier, boat launch and bbq area perfect for gatherings. Very secluded community with easy access to highway 20." 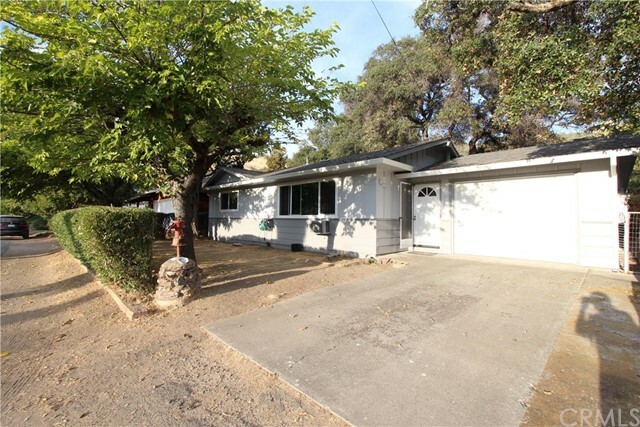 "LUCERNE RIVIERA Totally turnkey remodeled family home with lots of extras. Fully remodeled and updated kitchen with new appliances, including double ovens, freshly painted and new flooring throughout, this family retreat had been lovingly cared for and it shows! Family room to accommodate everyone. Plus large detached recreation, hobby room or workshop. Fully fenced backyard features a large covered deck with sunken hot tub, perfect for entertaining, a beautiful mature oak and a perfect opportunity to exercise that green thumb. Neighborhood is friendly and safe. A short walk enables you to enjoy the special beauty of the lake all day every day or have that special weekend getaway. This is a special home in great condition in an under-rated neighborhood." 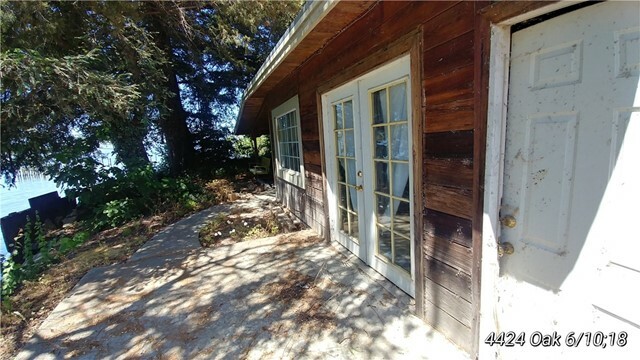 "Multi unit Contractor special, ON the Lake, beautiful views, Great opportunity to develop. Property was in the flood and will need refurbishment. Dock potential . 2 lots together make a large space. Come take a look and bring your lake house vision with you." "CUSTOM BUILT HOME IN PRIVATE AREA OF LUCERNE! Located just minutes away from schools, stores and all kinds of awesome recreation, the potential of this property envelops you the moment you arrive. As you walk in the front door of this beautiful 1400 sq ft, turn-key home, you can't help but notice the feeling of solitude & pleasure as it opens up to a breath-taking view of the open floor plan with gorgeous Brazilian Cherry floors, vaulted ceilings, and lovely arches. Dining-in & entertaining is easy as it has a beautiful separate dining area along with a large kitchen with all the modern amenities, beautiful tile counter tops and floors, breakfast bar and ample storage space. Home has two bedrooms, two full-size baths & the master bath offers an extremely large tub for that end-of-the-day relaxing bath. The laundry room is conveniently located inside the home, and the attached 2 car garage/workshop is fully insulated; large enough for two cars, nice size workbench and plenty of storage! This home has lots of extra touches which make this a delightful home including producing fruit trees, new roof, Trex decking, 6 studs making it extremely well insulated, ceiling fans, dual pane windows, central heat/air, fully fenced/landscaped backyard with wrap around decking with a peek-a-boo view of the lake and wide hallways and doors making it wheelchair accessible. There is an alarm system in place and so much more, a must see for sure!" "Peaceful and private home tucked in the Lucerne Riviera hills with beautiful Lake and mountain views. Open and bright 3 bedroom, 2 bath includes large kitchen with bay windows and breakfast bar. Living room and formal dining with charming chandelier and laminate flooring. Central Heat and Air, ceiling fans, laundry room. 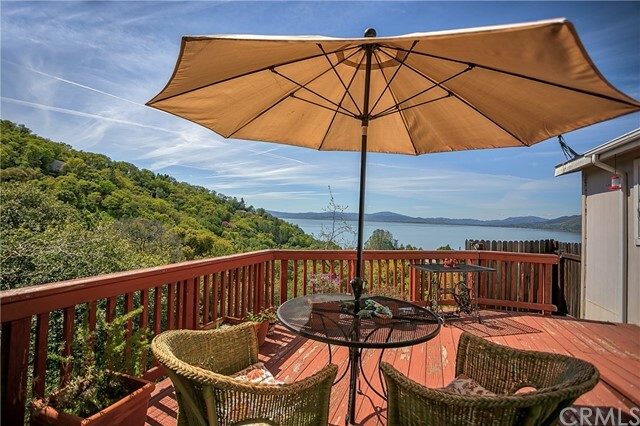 Front deck with lake views and rear fenced yard with patio and additional deck. Detached 23'x19' garage. Handicap accessible front ramp and master shower. 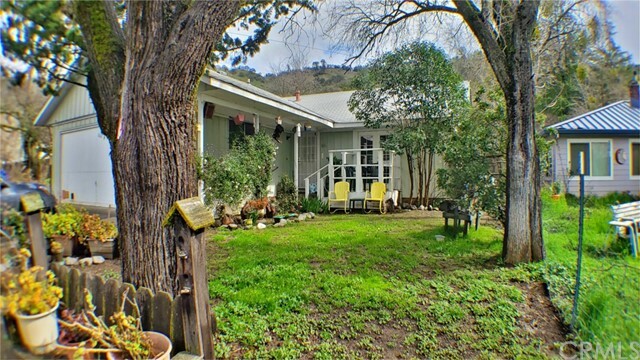 Approximately 1/3 of an acre and ready to move right in!" "Charming family home in desirable area of Lucerne. This unique 3 bedroom 2 bath home with attached garage and fully fenced back yard awaits a new owner. The kitchen has new counter tops, sink, faucet and stove. Front bathroom has new flooring, vanity, sink and faucet. Master bedroom with large walk-in closet and its own exterior door leading to the covered deck in the back yard. BBQ and enjoy being outdoors rain or shine. Huge master bathroom with Jacuzzi tub, skylight, custom windows and shower. Second bedroom has a walk-in closet and a separate double closet. The walk-in closet is large enough for small office or nursery and has built in shelving. This home is close to town, lake and is in great move-in ready condition. Don t miss this great opportunity. 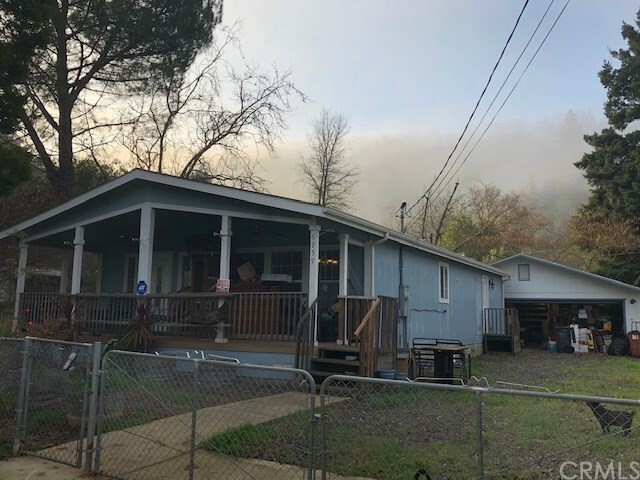 Call today for a tour.."
"Very nice 2 bedroom, 2 bath manufactured home on a large lot with an oversized 24' x 28' detached 2 car garage and workshop. Large gun safe in workshop is included! Shelving, workbenches and cabinets line the entire garage and shop area. A 7' x 9' storage shed also sits near the rear of the property. 2nd bedroom was originally built as an office and is open to living room. LED lighting throughout. Kitchen has a large walkthrough pantry to laundry room. Newer washer and dryer stay with the home. Master bath has an oversized soaking tub and separate linen closet. RV access on both sides of the home with 30 amp electrical outlet for your RV. 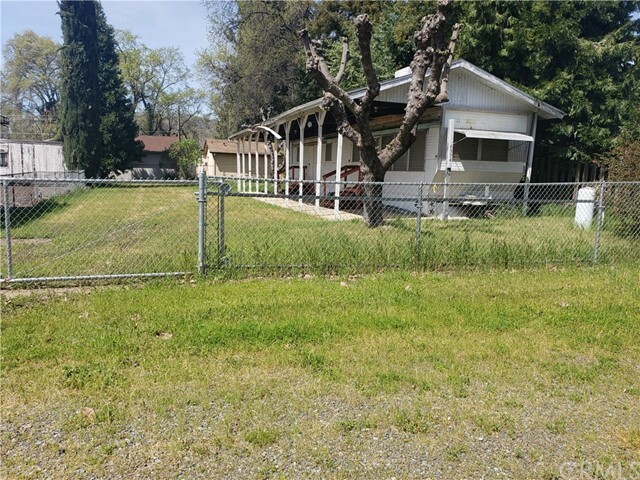 Property is fully fenced with chain link fence and gate at the front of the home. Covered front patio has 2 ceiling fans. This well taken care of home in Lucerne is ready to go!" "Hey You! Looking for a great starter home or investment property with Excellent location? 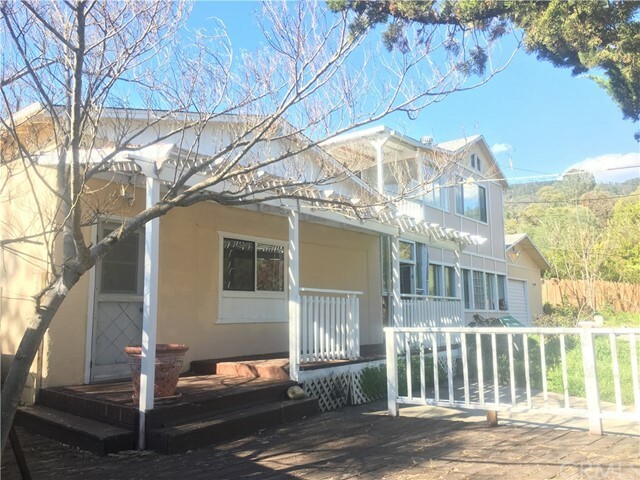 This grand cozy home sports three sun filled bedrooms, two full bathrooms, large open living area good size back yard work room to work." 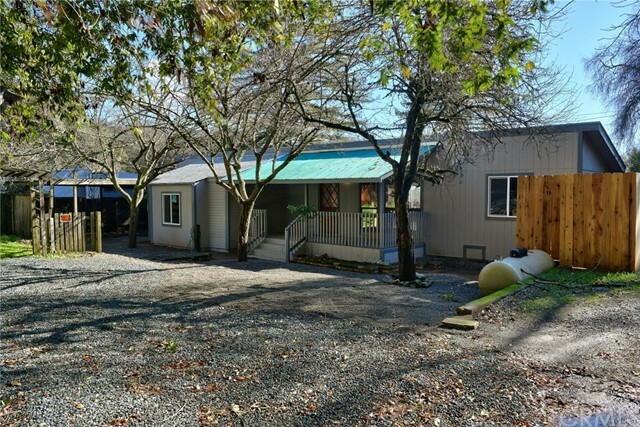 "This is a larger home in the Lucerne foothills. House is quiet large and has a very private lot. Tall redwood fence offers complete privacy. Lakeview's from many of the rooms. Home has detached 2 car garage with a 1/4 bath. Room to garden and entertain." "Cute home in excellent condition. Nice sized rooms, nice fenced yard in a great, quiet neighborhood. Has a swamp cooler and you can walk to the Lake! There is a little park on the Lake just a couple blocks down from the house. You can watch the Pelicans and other wildlife! Good sized lot. Talking with the neighbors that have lived there over 10 years and say it is a quiet neighborhood. 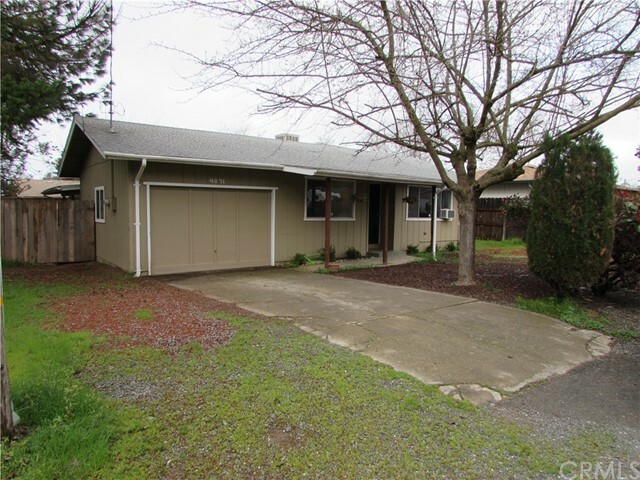 Easy commute to Ukiah or Lakeport." 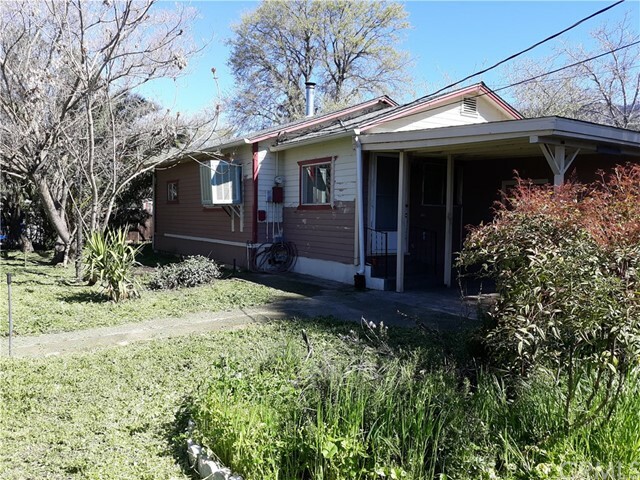 "Nestled on a large, private lot convenient to the lake, this 2 bdrm, 2 bth home + bonus room offers a lovely setting and updated single story home. Bdrm suites on either end of the home offer separation with central open gathering space. Charming kitchen, interior laundry hookups and expansive front porch from which to overlook the large yard. Prospects may want to explore possibilities for a 2nd unit. Seasonal peek-a-book view to the lake." "This could be a charmer, builders remodelers special, home needs work was a cute place, wood stove, separate garage, lots of trees koa pond, fenced close to lake and park area, small laundry room, being sold total AS/IS, priced accordingly would make a great rental or retirement property"
"Need a Lake Get-a-Way? 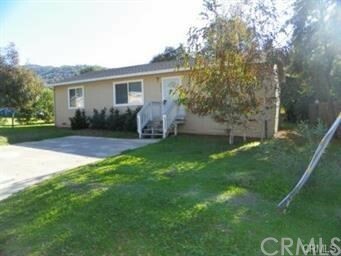 This single wide mobile home sits on a large level lot with utilities. Homeowners have enjoyed many family vacation memories at this property, but it's ready for the next dreamer. 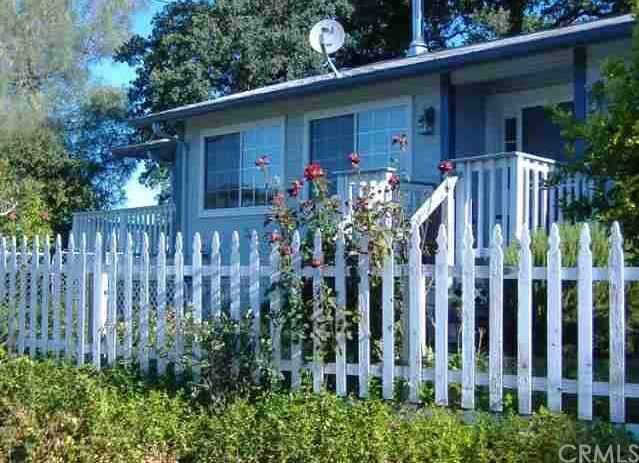 Location is walking distance to the lake, parks, and shopping. Keep the trailer or build your dream home, so many possibilities."